Do other people think about it all week like I do? It is seriously the thing I look forward to most: how comfy am I going to be this weekend? Well, this week, I decided to change it up a little bit and not pull out the workout clothing and instead, wear something that is equally as comfortable as it is cute! Could you imagine a weekend without this look? Think Farmer's Market on S.King's, shopping at South Park, or date night with your significant other....cue all the heart eyes! 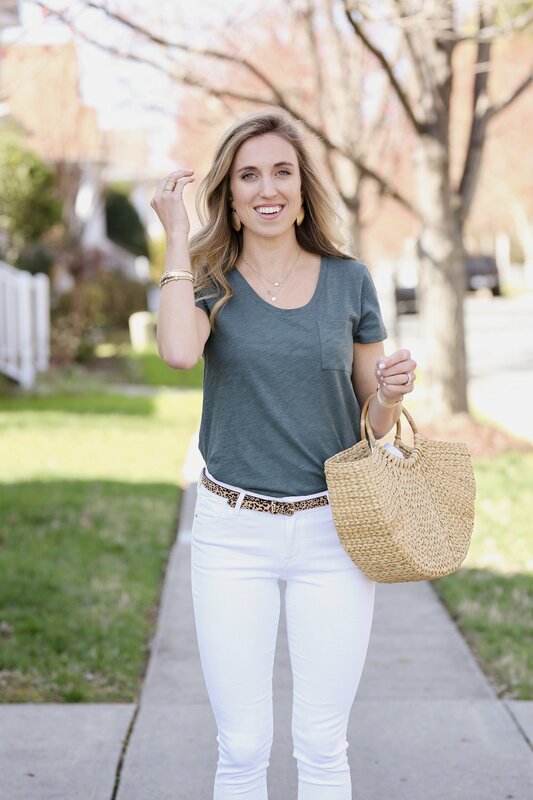 The tee and white pants are what make the look go from casual to date night with the addition of cute earrings! Say hello to your new favorite outfit!